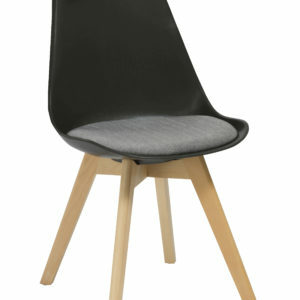 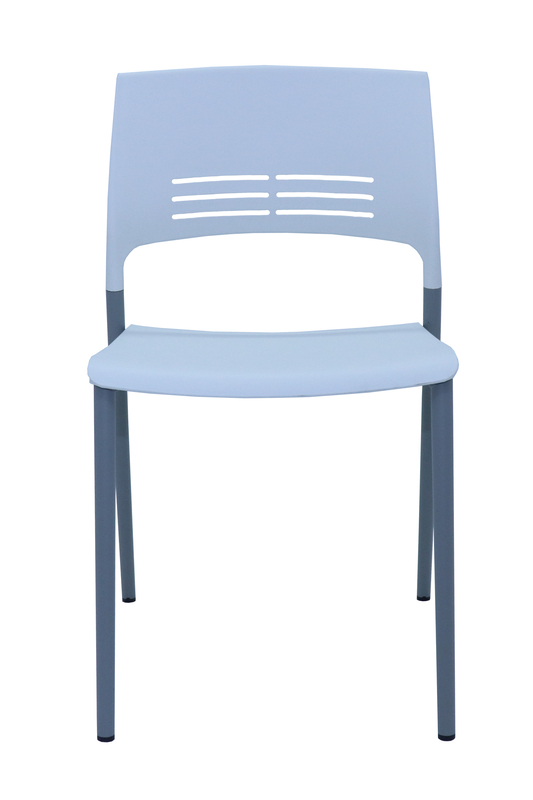 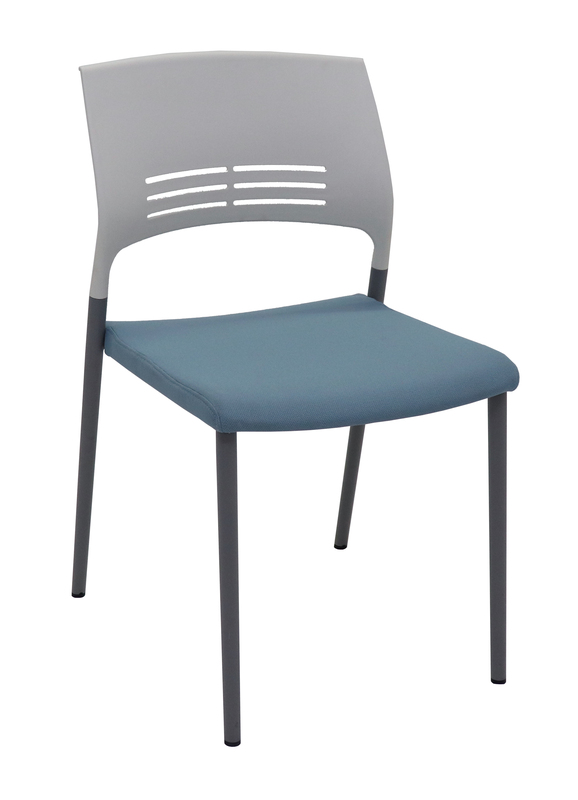 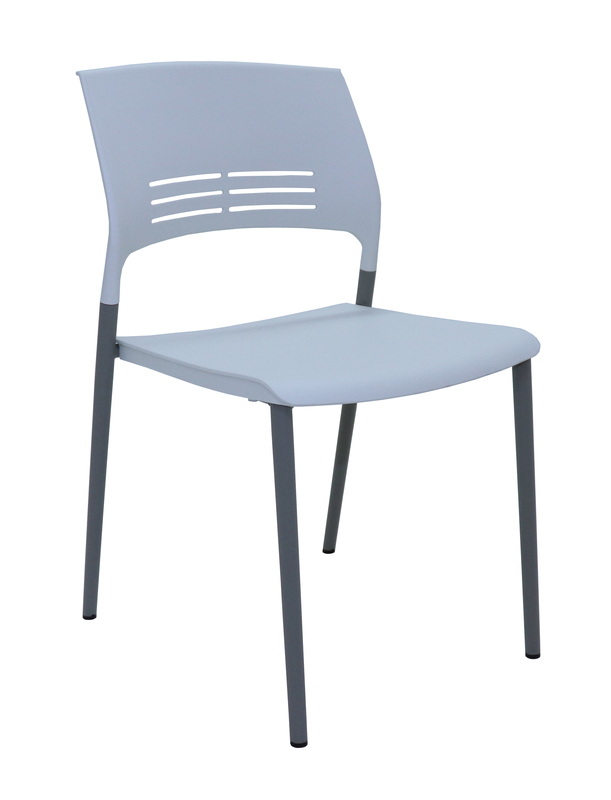 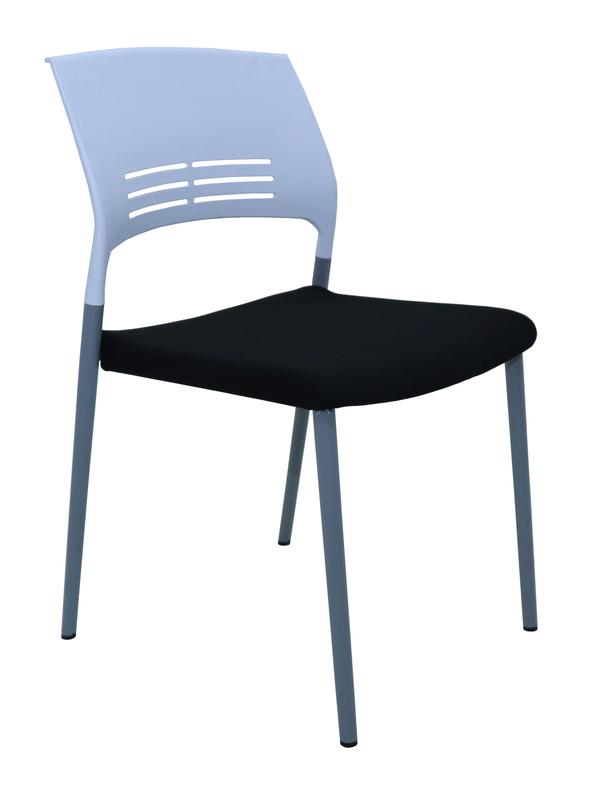 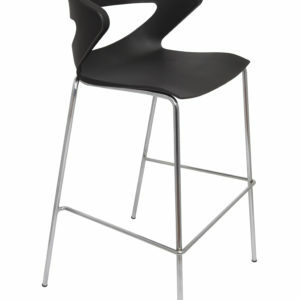 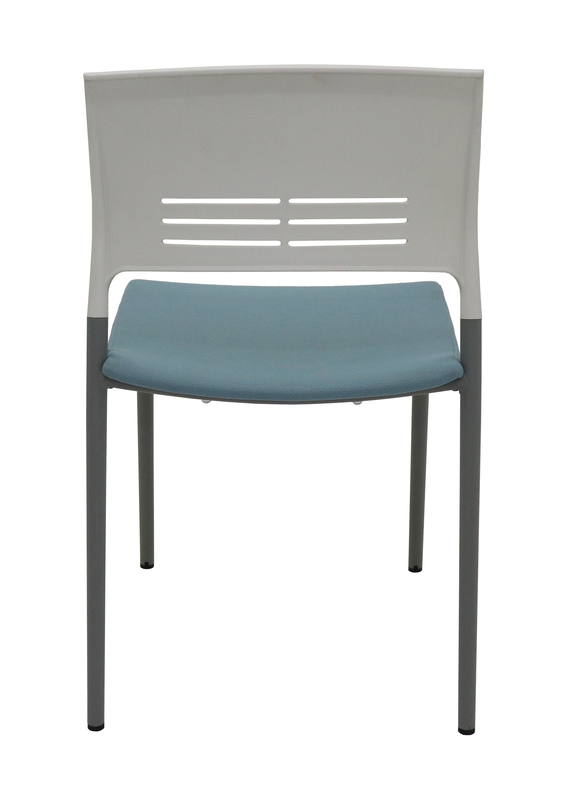 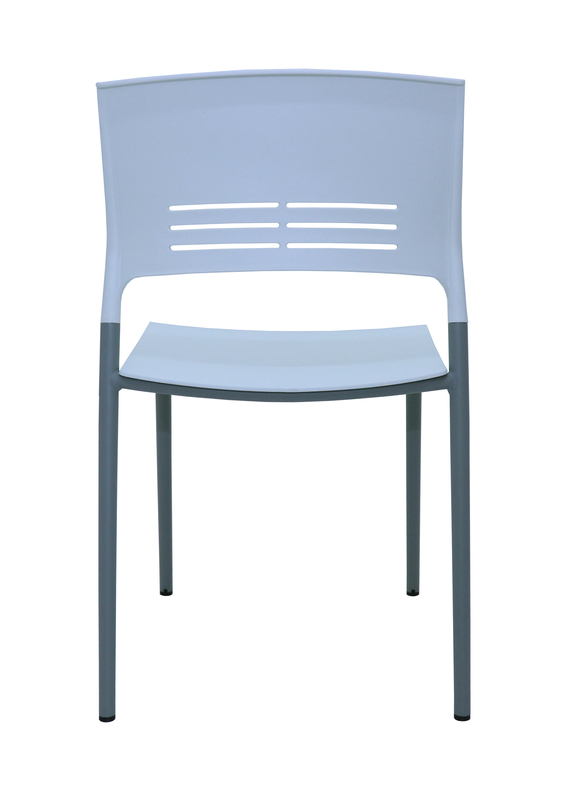 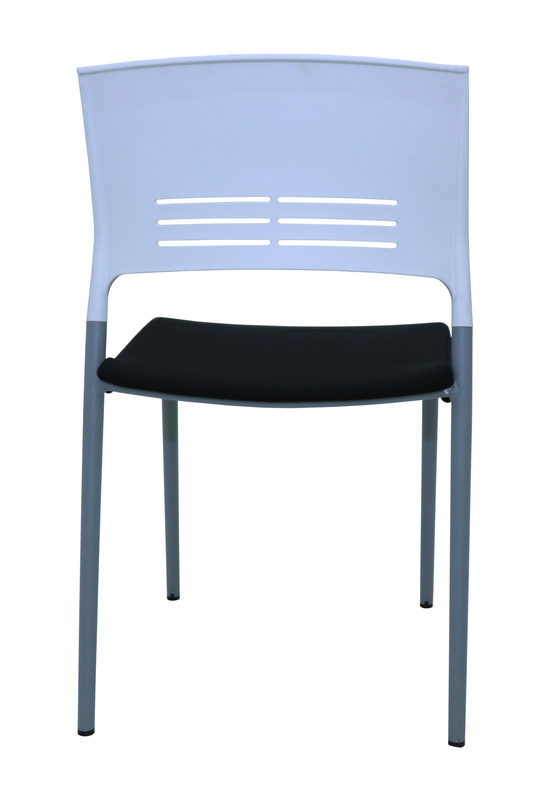 White elastic polypropylene breakout & meeting chair. 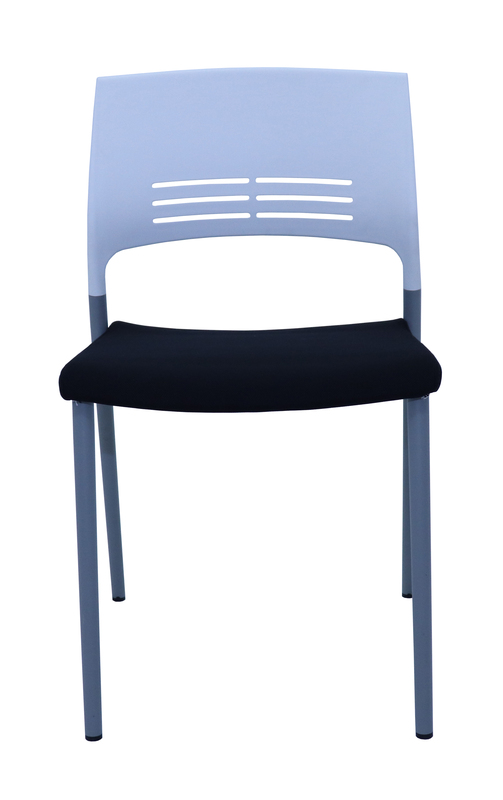 25mm Dia. 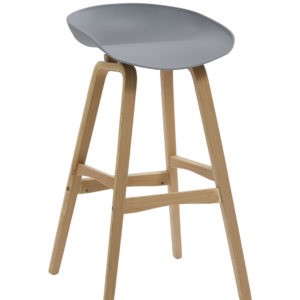 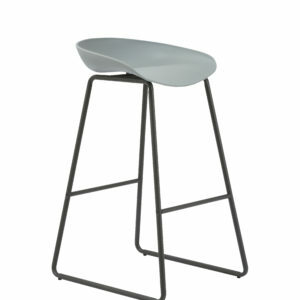 silver powdercoated steel pole legs with floor protectors. 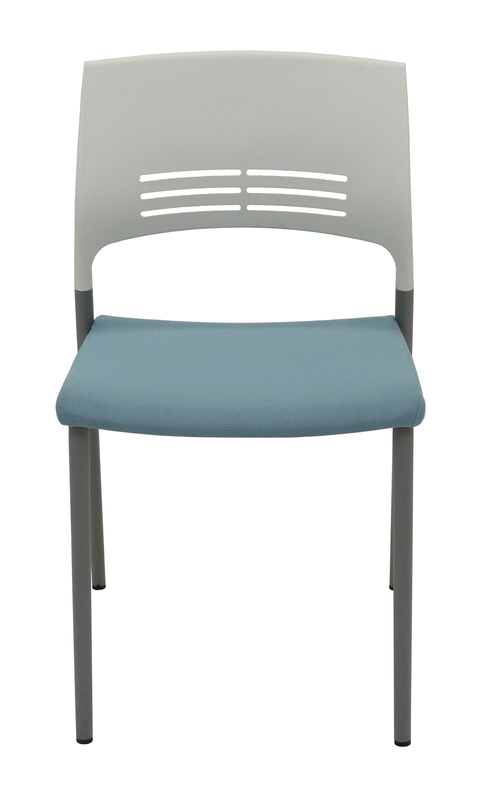 Removable slip-over fabric seat covers available as optional extra in black or light blue breathable fabric.